Hello my lovelies. How are you all doing today. The weather where I’m at doesn’t know if it wants to be sunny, rain or snow. That is British weather for ya. Welcome to a small ish art supply art. (I shoulda got those water brush pens!!) So might as well jump in with what I’m excited to use the most. I’m rather new to using Ink in my art works and had used it once or twice during the Inktober season for 2017. The inks are from Winsor & Newton a brand that I do love using. The water colour and acrylic paints they do are amazing. I’ll be taking part again this year too. I got these from Whsmith and nabbed the colours Purple, Orange and Gold. (The Gold was almost sold out!!) I love the cute little bottles they are in and still trying to decide how to use them. May use the gold for details and will defo be grabbing the white ink next time. These are gonna be used for my wisp series that I’m slowly working on. Also going to be expertimenting with them to build up an understanding of them so I know how to get the best out of them. Can’t wait to build up more of a collection of these little cuties. They are just to adorable. More supplies. Pens and Paint brushes. The brushes are from Winsor & Newton with the cold blue handles. Love this colour combo. But I had actually got this brush set to use with my inks. Love that they are all small in size so great for little detail pieces or giving that little extra. Shall see how that goes and keep you all updated. The 4 piece pen set is by Faber Castell. A brand I haven’t really used before. But intend to try them out. Plan on using them for out lining work and creating more depth in some pieces to. One thing I wish I got was the water brush pens that I saw. They where on sale and I shoulda grabbed them while there. Been wanting to play with them for ages and didn’t bother getting them. They are on my list of supplies to get next time. I got this haul from Whsmith in the Bluewater Shopping Centre. That place is insanely large. Not a fan of the sheer scale of the place. Mainly due to the amount of people but glad we got there very early. I did also get a cute mug but got that the other day. Ellis did not it to damage any of the prints. 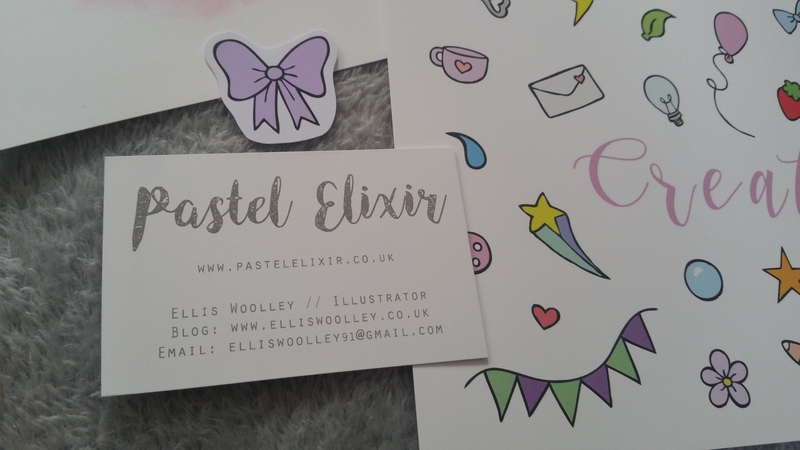 The mind behind Pastel Elixir is a lovely young woman called Ellis Woolley. And she is lovely and answers any questions to the best of her ability. She also has youtube’s. Even better to put a face to the name!! 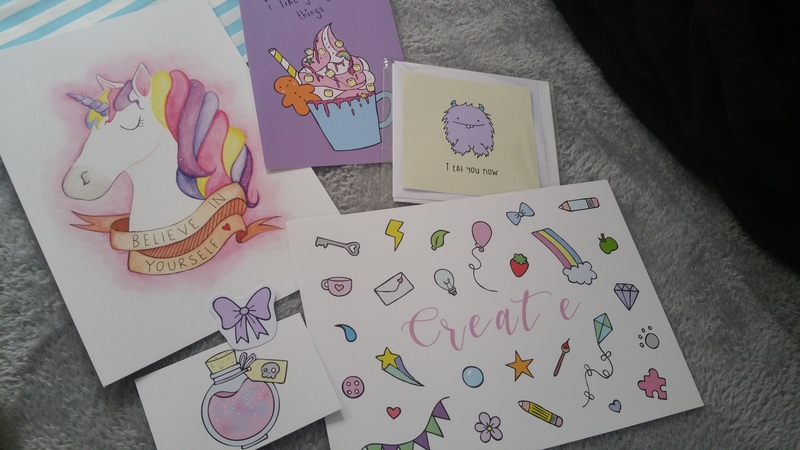 The create print and Pastel Elixir buisiness card. How cute are these. Before I continue Ellis does have a sale going on, check it out for some cute stuff. 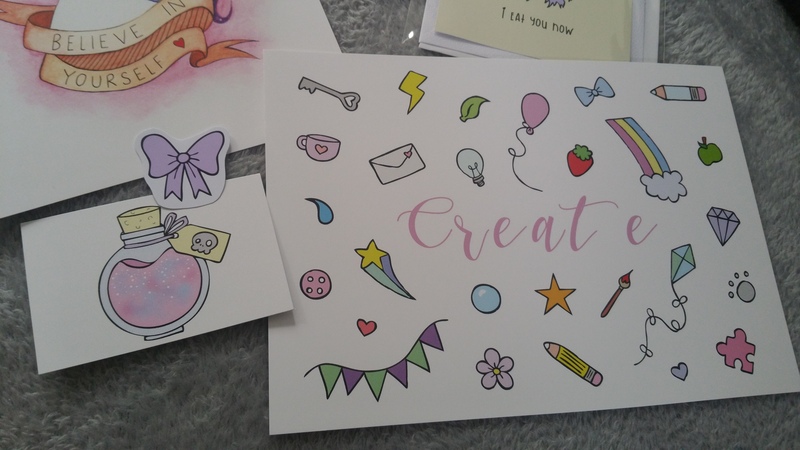 I love the ‘Create’ print. As an creative person this is something I just can’t resist, plus the doodles are adorable. The simple design for her buisness card is flawless. Simple yet effective. 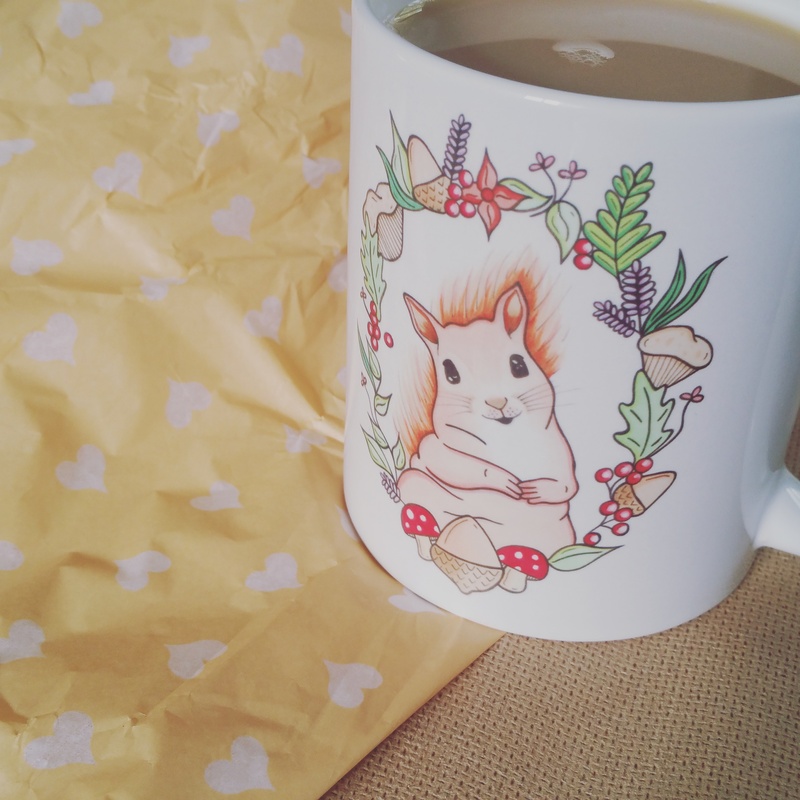 My Squirrel Mug by Pastel Elixir. You may have already seen this on my insta if you follow me there. This mug is just perfect for the new season and I love the forage detail too. While it is smaller than my other mugs, its great for getting used to soya milk. This is the info for Pastel Elixir if your interested. Ellis is a lovely person and we both share a keen love for supporting small buisinesses. 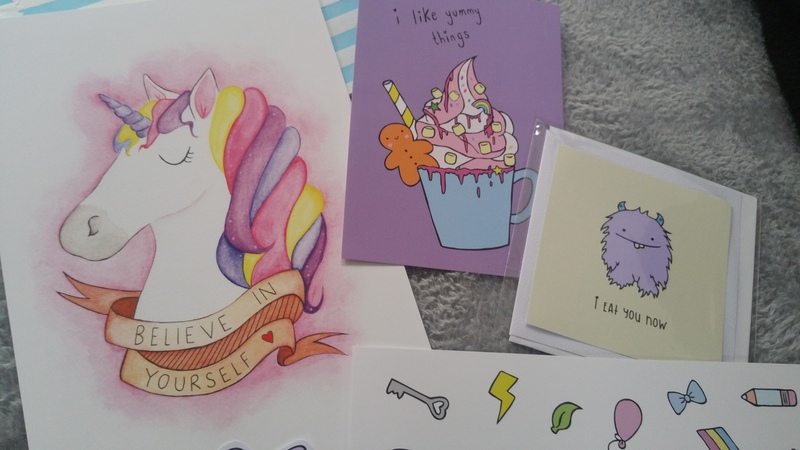 From her beautiful stickers, badges to the mugs and prints. This is one shop I defo plan on visiting again.